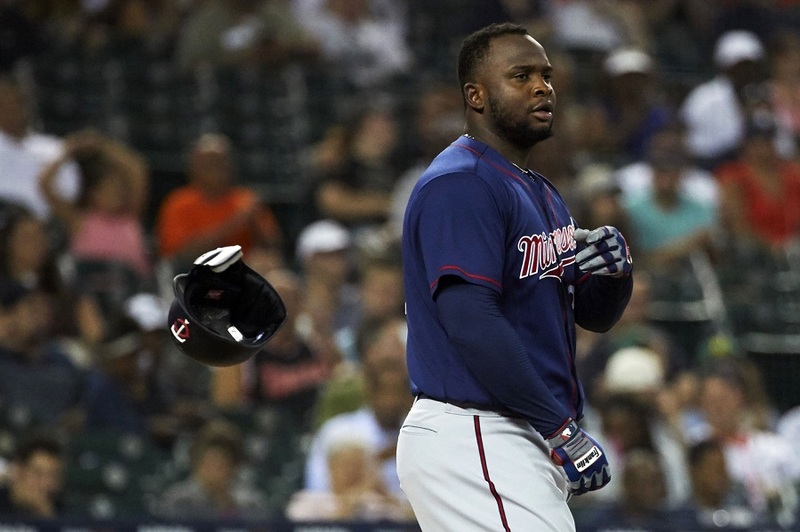 Miguel Sano was detained in his hometown of San Pedro De Macoris, Dominican Republic, for a traffic incident involving a police officer. He was released from jail but will need to return on Monday. We will continue to update this article as details emerge. According to a variety of reports, Sano left a club around 3 a.m. The exact details are still not clear, but it appears the vehicle Sano was in made contact with an officer. The police officer is in the hospital with a broken leg. Some reports say that Sano has offered to pay for any of the officer's medical bills. At this stage, it is clear that an incident happened. Of course, we all need to let it play out to see what comes of it. It is certain that this story will not go away. It continues what has been a bad year for Sano. Sano missed the final two months of the 2017 season because of a broken leg. After the season, he had surgery to insert a titanium rod into his leg. In December, allegations of assault surfaced on Twitter. An MLB investigation led to him not being suspended due to insufficient evidence. On the field, Sano struggled so much in his return, striking out at a very high rate, that he was sent all the way down to Ft. Myers to basically start over. He returned in better shape, but the numbers didn't come back right away. In early September, he slid late into second and rolled on the ground in pain. While his leg was deemed structurally sound, he did not play the rest of the season because of it. This is a big offseason for Miguel Sano on many levels, and this is not the way for it to start. I will try to keep things updated on here, though I can't promise to see or read everything. Twins Latinos (Mariana Guzman) has been keeping up on this as well. Here is a tweet she said that says that there may have been gun shots. "Sano, who was leaving a nightclub in his native San Pedro de Macoris at 3 a.m. on Sunday in the company of his wife, had been speaking to police officer Argenis Emilio Gillandeux in front of the club. After the exchange, he went to back up his white pickup truck without realizing that Gillandeux had not moved his motorcycle from behind him, a spokesman for the Dominican national police, Coronel Frank Duran Mejia, told Enrique Rojas on Monday." "shots in the air" ? Chances are he didn't hit anything. Let him be Delmon Young somewhere else. I'll say again if Moose doesn't have his option picked up sign him to play 3B. At this point Sano can't be trusted to be on the field or produce if he does get on the field. He can be a DH if he does show up to play. Usually nothing good is described in a sentence that begins with, "After leaving a club at 3 am, ". Right, I'm sure it will be some time before we have the concrete details on exactly what happened, so I don't want to jump to any conclusions yet, but even without those details it's very clear this is another example of Miguel proving he can't be trusted to take care of himself/make good decisions. What a waste. Time to cut bait. The guy just can't grow up. Maybe he should get some counseling from Randy Moss. guessing that means we shouldnt' plan on Sano doing anything next season. 1.He was drunk and didn't know what he was doing. Not good. 2.He was sober enough to know what he was doing. Not good. 3.It was completely accidental and not his fault. Since it happened at 3AM I'm guessing number 1 or 2. Time to rid themelves of his immense talent and lack of intelligence. DR is very corrupt so it could be none of those. But, knowing that (and I'm sure he knows this), he probably shouldn't have been out at 3am. Make him run laps until he loses 40 pounds and the entitled attitude. I had a chubby player once, I used playing time, no pitching, batting order, all kinds of things to get him to stop swinging at high pitches. The 20 laps finally did it. In the 1970s, judges used to send Juvies to Marine Corps Boot Camp. Twins should not dump him for this, but they should make a “final chance” notice to him and media. That way they don’t have to suspend him. Tell him to whip himself into shape - or else. Somehow they need to get production out of this great talent. Very frustrating. The comments sure are in stark contrast to the outrage when a couple local writers questioned his character. I think I spot a trend...So unfortunate for Sano and Twins. Ugh. Onay, so this comment is probably inappropriate and I shouldn’t respond, but... damn, it’s funny. I doubt much more happens with this story and hopefully he can get his head focused on his career. But i am pleased that the Twins were not agressive and didn't buy up his first few years of free agency. Falvine should hop a flight to Venezuela with a contract extension in hand. There's really no question that Sano is more interested in the stereotypical pro athlete lifestyle than actually being a good MLB player. Whatever the exact details in this incident, I have little hope that he will do what he needs to do to get on track as a baseball player. At this point, the Twins just have to hope he is able to do well enough to build up some trade value, either at the deadline (not in contention) or after 2019.